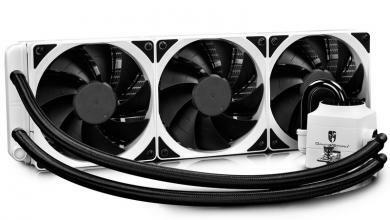 Slim is in but large air coolers refuse to be fat-shamed out of relevance, adapting smarter implementations to ease their installation to match the convenience of smaller heatsinks. 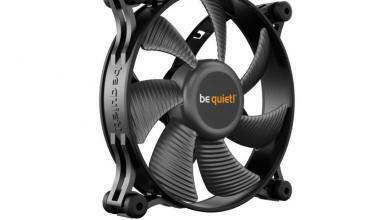 The Noctua NH-D15 released last year is one such cooler, fighting back against the trend of All-in-One liquid cooling systems and winning the hearts of many who prefer a more silent solution. Still, in their wisdom and relentlessness in pursuit of air cooling excellence, Austrian manufacturer Noctua still believed there are more improvements to be made. 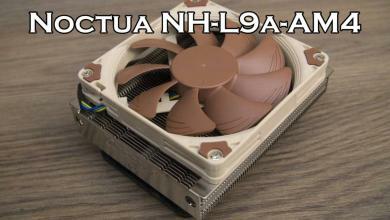 Thus, the Noctua NH-D15S was announced. 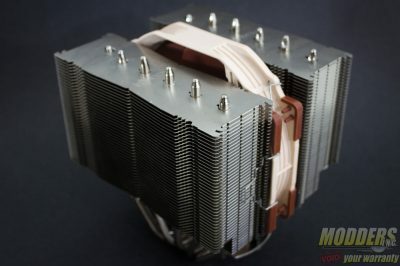 Measuring 165 x 150 x 135 mm (H x W x D), the Noctua NH-D15S is in many ways identical to the flagship NH-D15 physically with the exception of having an asymmetrical layout. 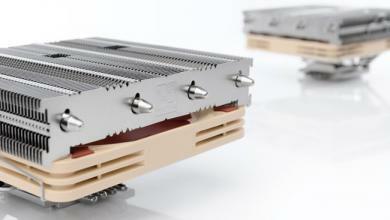 With a heatpipe arrangement leaning upward, the Noctua NH-D15S provides extra clearance for PCI-E devices that the NH-D15 blocked. Also, Noctua bundles the NH-D15S with only a single 1500RPM NF-A15 fan compared to the dual-fan NH-D15 which allows them to offer it at a much more affordable $74.90 MSRP. 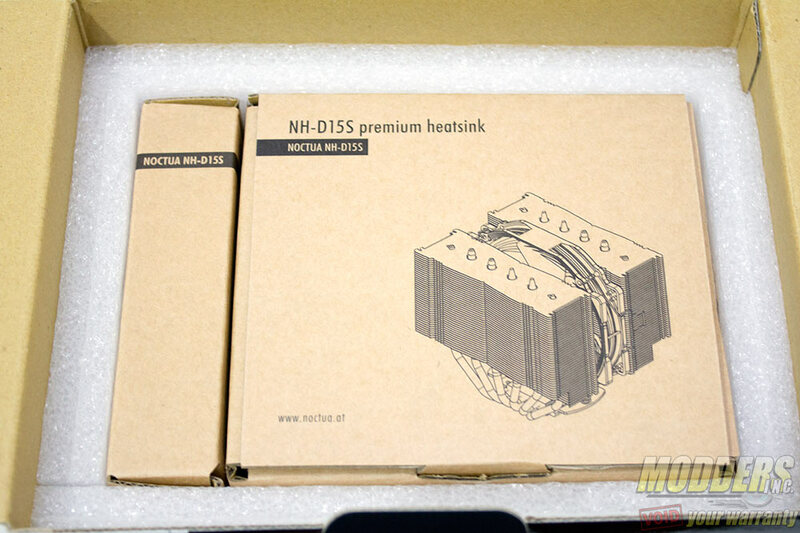 The packaging is glossy and quite large as is expected of Noctua products who have a uniformly high-end looking packaging for their entire CPU cooler line. 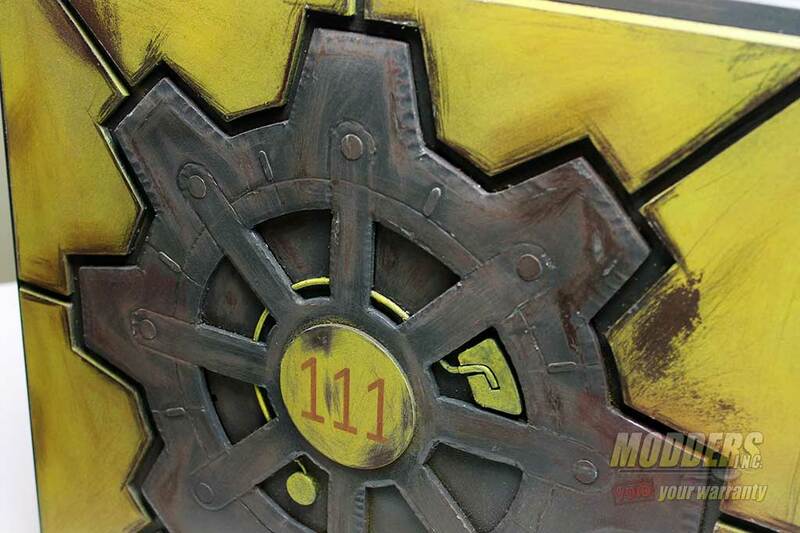 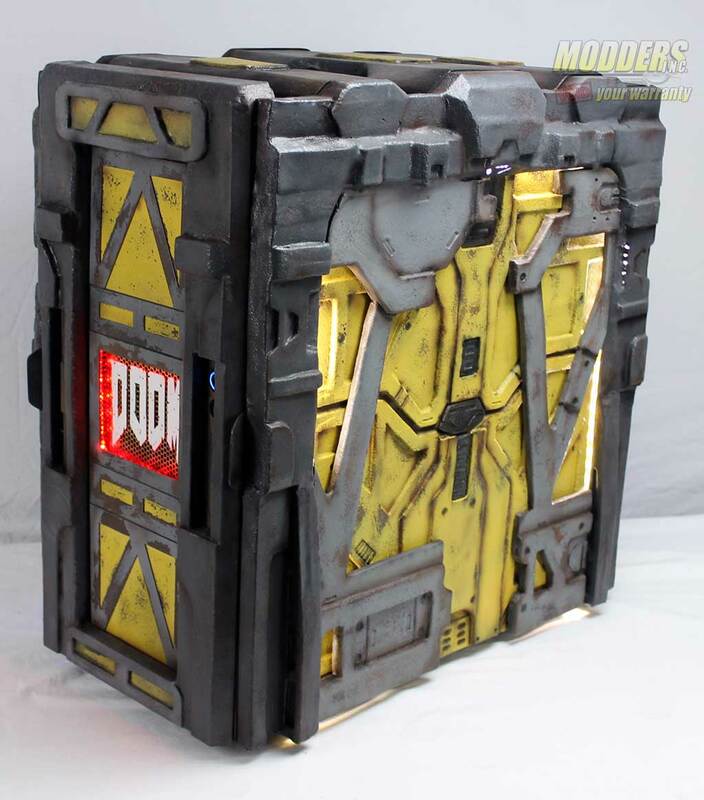 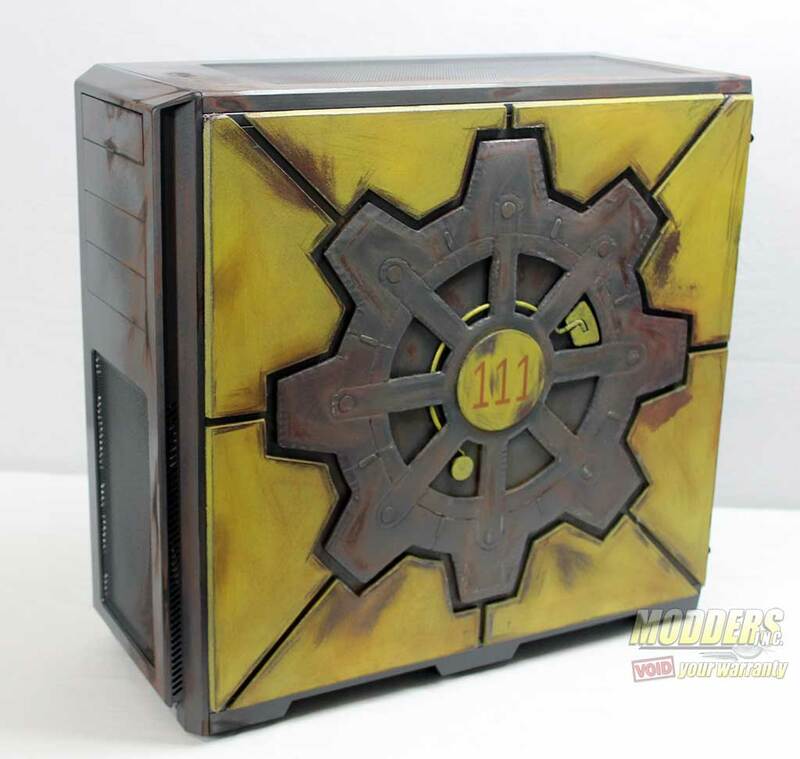 Three sides of the box are filled with promotional information and detailed specifications. 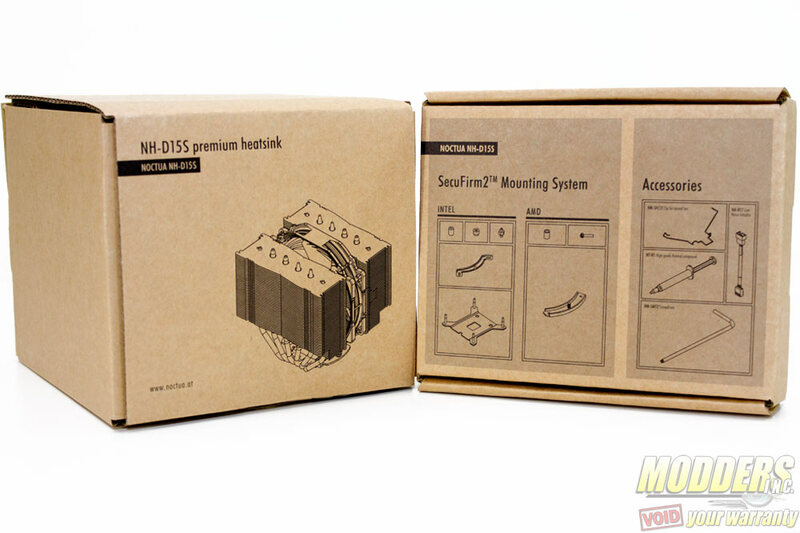 Inside, all accessorioes are packed in a single box unlike the NH-D15 but the classification of each accessory is labeled with illustration of the content on this small box. 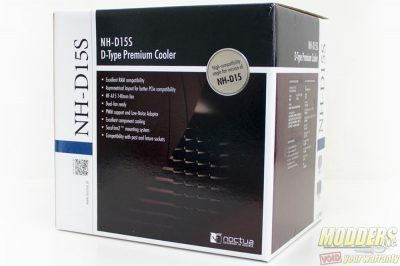 Beside the accessory box is the protective containing the NH-D15S heatsink itself and both boxes are padded on all sides with a thick white foam. 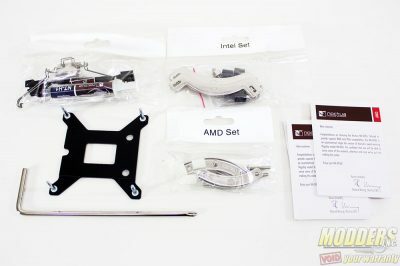 The Intel mounting kit box contains a backplate with the posts built-in unlike previous SecuFirm2 backplates, four black plastic standoffs, a pair of mounting bars, four bolts for LGA2011 mounting and four thumbscrews for securing the mounting bars.In the AMD accessory box, there are four white plastic spacers, four long screws and a pair of AMD mounting bars. 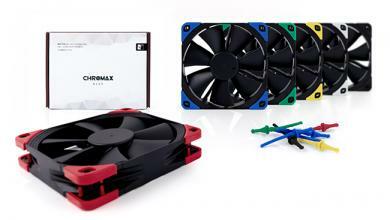 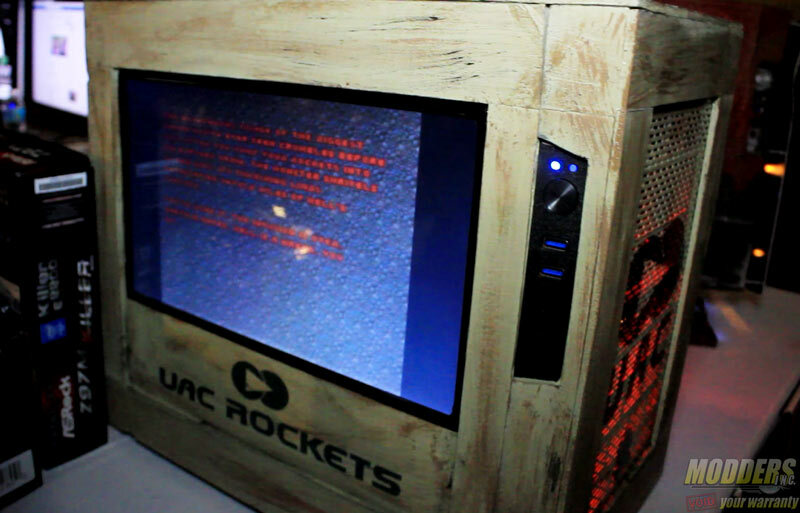 Three manuals are also included, one for LGA115x, LGA2011 and for AMD installation. 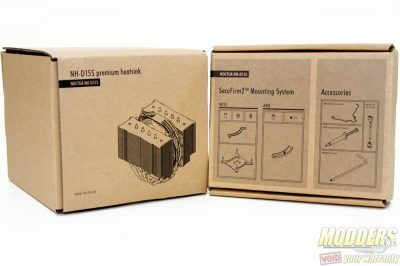 The miscellaneous accessory box contains a full-sized tube of Noctua’s NT-H1 thermal compound, a screw driver, a low noise adapter, a metal case badge and a pair of fan clip wires for installation of an extra 140mm fan. 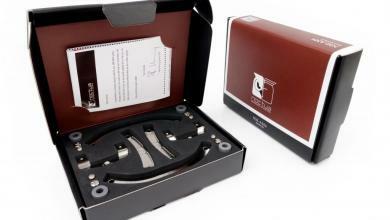 SSO2 = Noctua’s 2nd Generation Self-stabilising oil-pressure bearing, a type of fluid dynamic bearing design with a magnet placed close to the rear of the rotor axis.